All (almost all) the talks at the Open for Business conference, that was hosted as part of the Wuthering Bytes festival at the end of September, have been recorded and are now available on line. This includes recordings of the talks by Tariq Rashid, Rob Blake, Stuart Mackintosh (second talk), Rob Taylor, Scott Wilson, Amanda Brock Peter Coates, Robin Kennedy, Cornelia Boldyreff and Adam Jollans. The entire video set is also available as a playlist, allowing you to relive the day in its entirety. 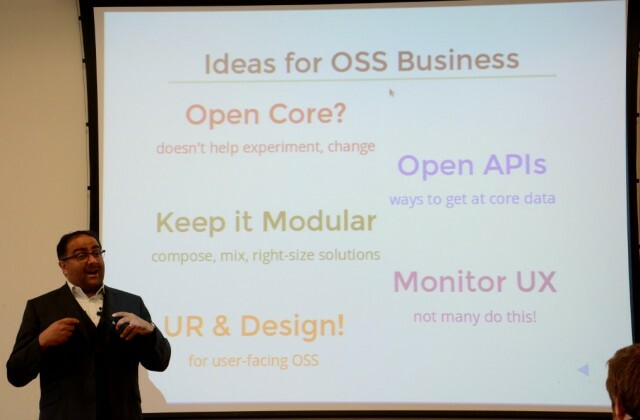 Publishing the talks on-line provides a permanent repository of information that will serve as an invaluable resource to those running, starting up or considering starting, their own open source business. All the details in the Embecosm web site.